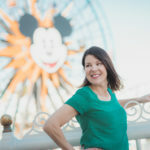 Thinking about taking on Disney World with a baby but not sure exactly what they’ll be able to see, eat and do? Disney is a place for everyone of all ages to enjoy, babies included. 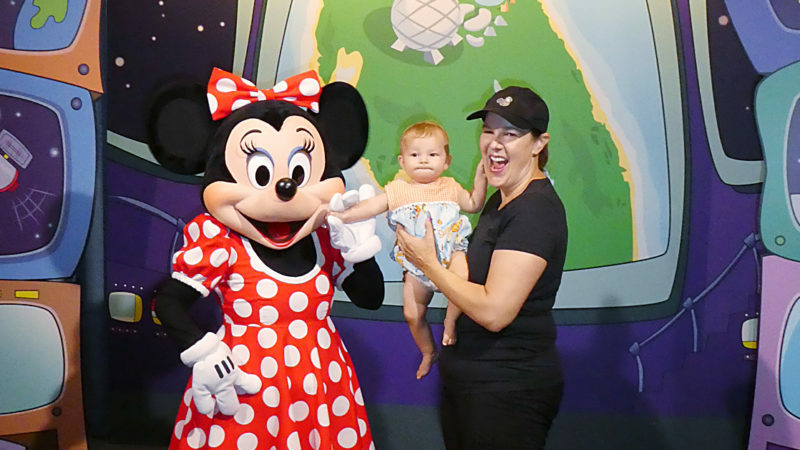 Our Day Trips TravelingMom has recently returned from a week long trip to Disney World with her baby and shares insider tips on what to do at Disney World with a baby. Naturally as a TravelingMom I’m in the “take your baby EVERYWHERE” camp. As a frequent day tripper, I have no issues with taking my baby on outings. But many question why someone would go to Disney World with a baby. My number one reason is that there is a LOT that babies can enjoy at Disney World. Second, babies under 3 years old don’t require a park ticket (that’s right, they get in for free until their third birthday!) I’ll share with you my other tips and ideas of things to do at Disney World with a baby, tested twice in the last year with my baby daughter. The most ideal Park is the one where your baby can enjoy the most attractions and rides. That would be Magic Kingdom! With baby-friendly themes like it’s a small world and The Many Adventures of Winnie the Pooh, you’ll be able to ride with baby on your lap. 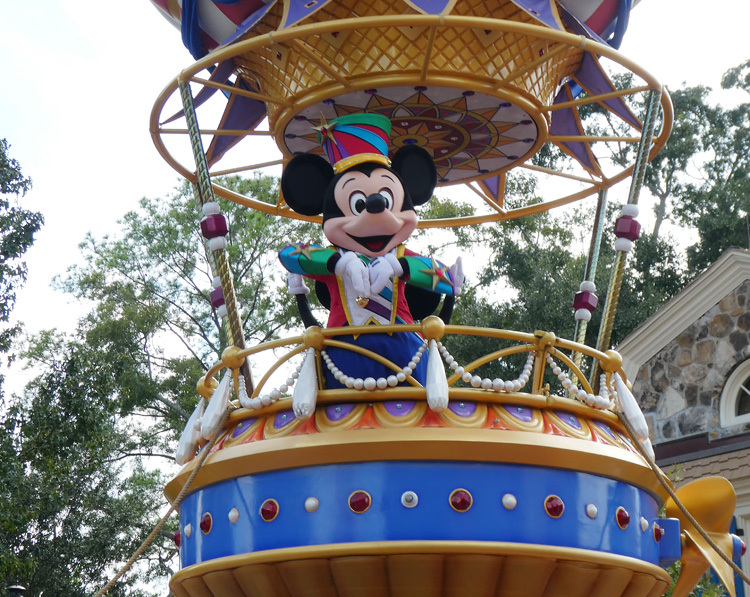 With the exception of the intense thrill rides, most rides and attractions at Magic Kingdom have no height restriction. 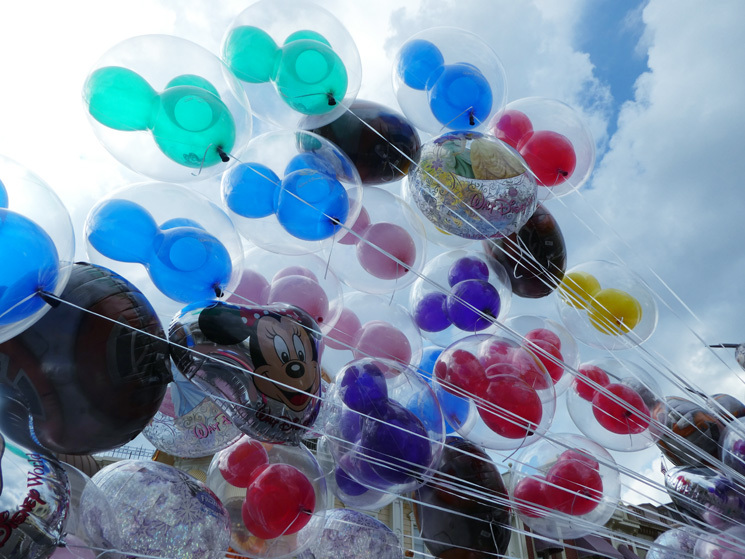 This means you’ll be able to ride and enjoy most of Magic Kingdom as a family – baby included! Make time to see some of the shows and take in the entertainment as well. Disney Festival of Fantasy Parade and Country Bear Jamboree were favorites of my one-year old. She was not a fan, however, of Mickey’s Philharmagic because of the 4-D effects (shooting anything in a baby’s face, even if it’s just water or air, is generally greeted with a scream!) Also if your baby is frightened of loud noises, steer clear of Fantasyland during any fireworks shows. TravelingMom Tip: Bring a front carrier with you, in addition to the stroller. If you put baby in the carrier while he naps you can still attend shows and go on some rides. Each of the Disney World theme parks offer meet n’ greets with the characters. You can take photos, collect autographs or simply give them a hug! When meeting with characters for the first time, go at baby’s pace. Your baby might love the characters and want to touch and cuddle with them. Or your baby might scream her head off! Each baby is going to be different with their reaction. So long as you’re not forcing your child to hug a character if she doesn’t want to, snap the picture and then move along quickly. If anything, you’ll have a funny picture for the family album! TravelingMom Tip: If character greetings are high on your vacation list, try having your baby meet with “face” characters first. A sweet and friendly Disney princess with a calm demeanor is ideal. Proceed with caution towards characters in head-to-toe costume, especially if your baby is particularly skittish. 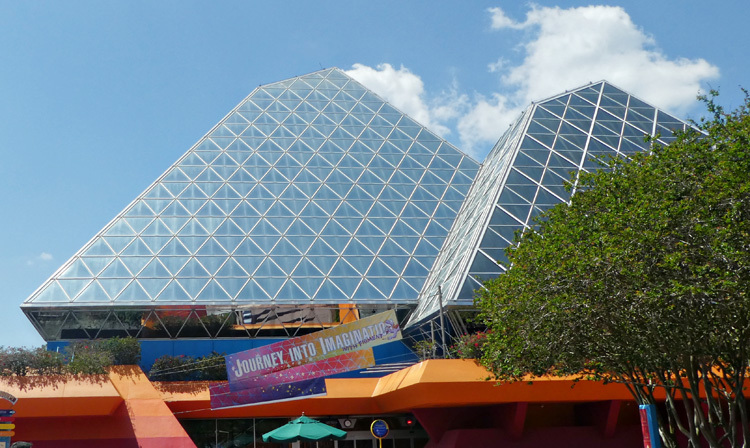 Epcot is a great “hands-on” Park for kids of all sizes. If your baby is walking, take time to let your baby free from the stroller to explore inside the Pavilions. Some of the areas have hands-on activities that baby would enjoy, even if it’s just pushing lighted buttons. My daughter loved toddling inside the colorful ImageWorks “What If” Labs music-making area with the touch sensitive carpet squares. I visited recently during the Epcot International Flower & Garden Festival. The bright colors, topiaries and flowers are a delight to the senses. There were several play gardens set up for little ones. My baby was able to play on the grass and zip down a slide on equipment designed for toddlers. TravelingMom Tip: If you have older children with you, be sure to take their desires into consideration. Have a “hit list” of top attractions that big kids wish to cover and do those things. 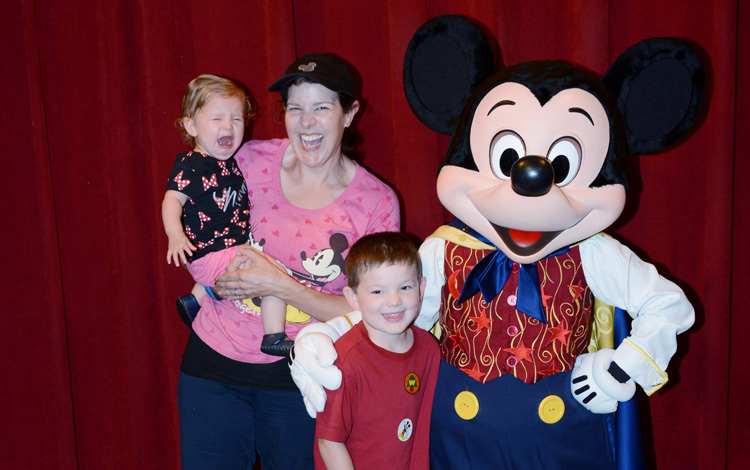 Baby won’t care (or remember) that they didn’t get a picture with Mickey but your older kid will. Shopping for souvenirs and getting special treats or snacks can be done while baby naps in the stroller. If there’s one place to expand baby’s palate, it’s the Epcot World Showcase. With authentic dishes from around the world, baby can get their first taste of hummus or guacamole without ever leaving their stroller! 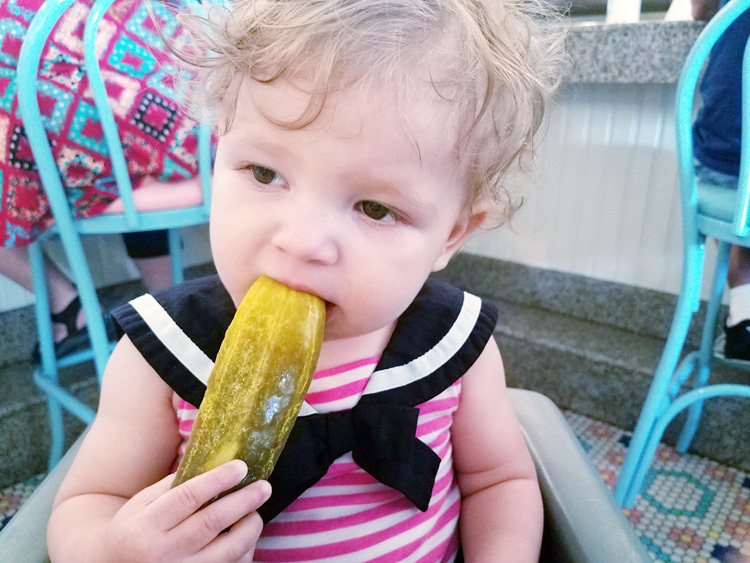 Fortunately little ones don’t have to just be relegated to a diet of nuggets and fries while dining at Disney World. Many restaurants offer baby-friendly foods like applesauce, seasonal veggies, cubed fresh fruit and milk. And children under 3 years old can eat for free in all buffet dining restaurants. If you don’t see something appropriate on the menu of a full service restaurant make a polite request with your server. The chef may be able to prepare something special for your child. TravelingMom Tip: Save money on kid’s meals and pack in your own foods for baby instead. Guests can bring a soft sided cooler, chilled with an ice pack to keep foods cool. 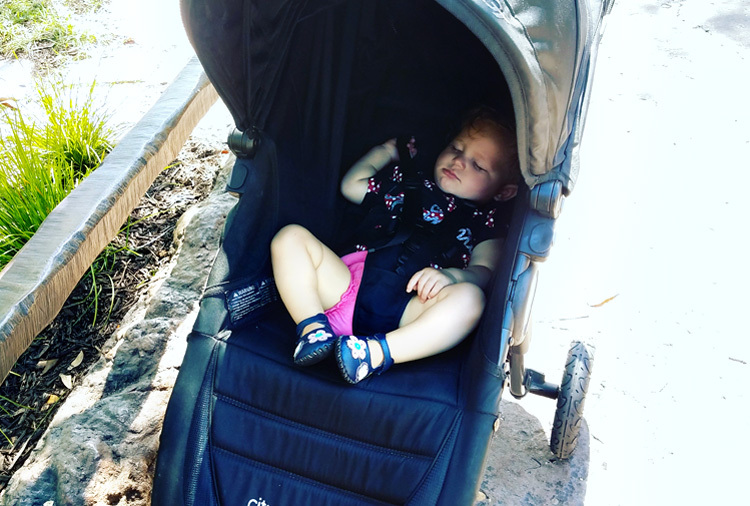 While there is only one ride that babies can go on at Disney’s Animal Kingdom (Kilimanjaro Safari), your baby can still enjoy this lush and tropical park. The Affection Section allows baby opportunity to pet a friendly goat or pig. Point out other animals like flamingos and birds on one of the many self-guided walking tours throughout the park. Older babies will enjoy spotting zoo favorites like elephants and lions on the Kilimanjaro Safari. Be aware that this Jeep ride is extremely bouncy and rocky so use caution if taking infants. There are a few entertainment options that little ones may enjoy here as well. My baby girl loved the bright colors and lively music at the Festival of the Lion King show. And the lovely nighttime show, Rivers of Light is appropriate for baby as well. TravelingMom Tip: Seek shade mid-day when the sun is overhead. 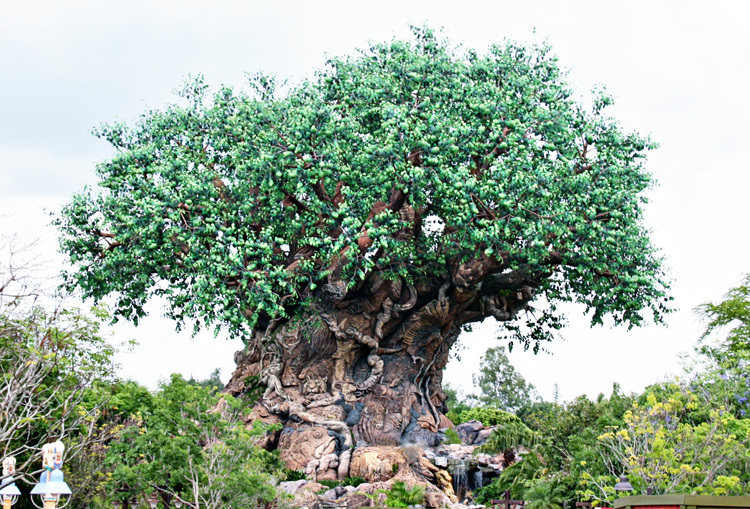 Indoor shows and attractions are air-conditioned and many of the trails at Animal Kingdom are lush and tree-covered. Many of the Disney World resorts feature amazing interactive pools, playgrounds, walking paths and themed restaurants. Explore your resort with baby by taking him out for a walk in the stroller or allowing him to toddle freely. Older babies will love spotting “Hidden Mickeys” that are hiding in plain site around the resorts. 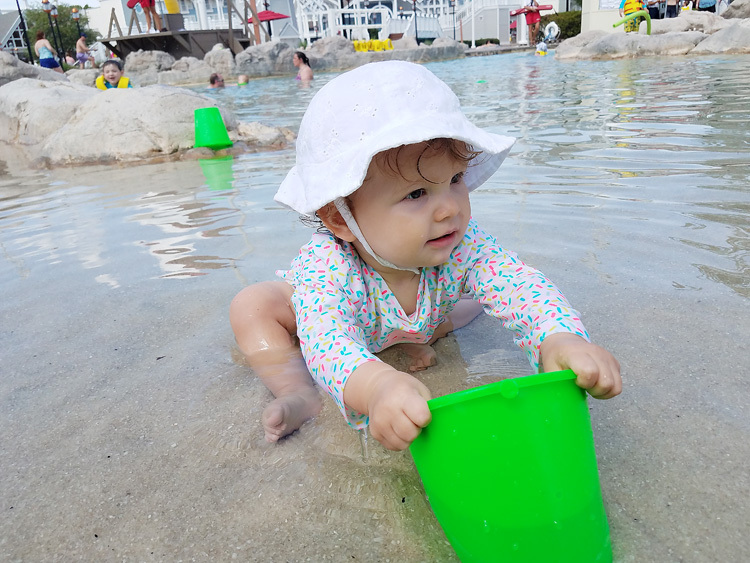 TravelingMom Tip: If your baby is an “early bird”, get to the Parks early with the intention of returning to your resort. This mid-day break allows baby (and the rest of the family!) to nap, swim and snack. Disney Jr – Live on Stage! is the main draw for little ones here! Familiar Disney Junior channel friends like Minnie, Doc McStuffins and Sophia the First appear in this live show of puppets and music. At just under 25 minutes, it’s a decent length show that a baby can enjoy. Kids are encouraged to get up and dance – the perfect pre-nap entertainment! Babies won’t be terribly interested in anything at the Star Wars Launch Bay. In fact, my little one was scared of the dark theming and the characters here. We also weren’t able to take in a stroller. You might want to consider skipping this area with the baby. TravelingMom Tip: Just because a ride doesn’t have a height restriction, doesn’t mean it’s baby appropriate. Some rides do have dark or scary scenes (like The Great Movie Ride) that might cause baby to cry. If you aren’t sure if a ride is baby-friendly, ask the Cast Member at the entrance for their opinion. 8. Don’t Forget the Baby Care Center! Traveling with a baby requires frequent stops for diaper changes and feedings. The Baby Care Centers located inside each of the Disney Parks are a heaven-sent respite. 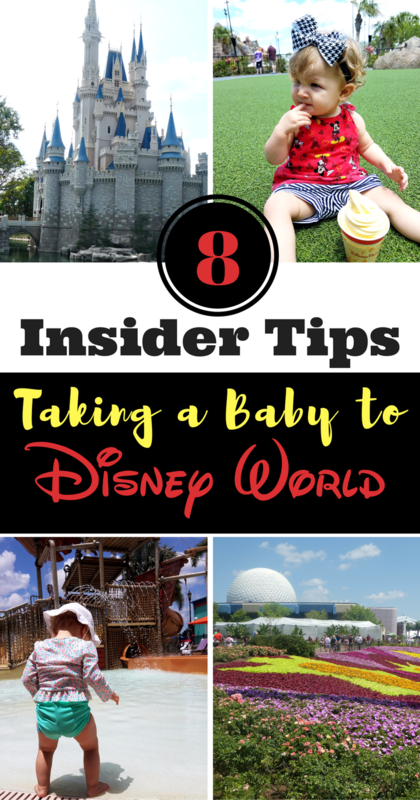 I’ve been inside each of the Baby Care Centers in the Disney World parks. The Baby Care Center offers you a quiet place for rocking or nursing. There are high chairs for feeding and microwaves for warming food. Diaper change areas are comfortable and plentiful. And did I mention they are air-conditioned?! Guests can also stop in the Baby Care Center for extra supplies like baby snacks, diapers and pacifiers. This little storefront definitely came in handy when I ran out of wipes on my last Disney day! What are your favorite things to do at Disney World with a baby? Share them with us in the comments! 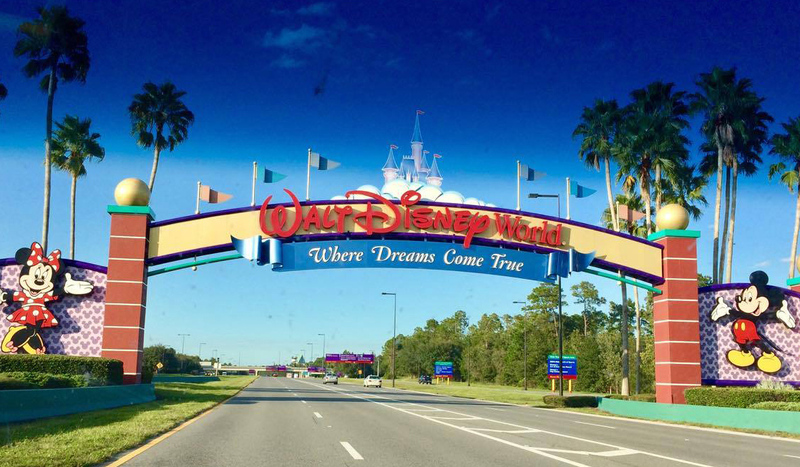 A guide to Deluxe Disney World Resorts: Which offer the most luxury? Thank you so much now I feel a lot better taking my 6 month old baby to Disney ?